I found this picture in our archives the other day of a crew race at Humboldt our freshman year of college. It is a tradition for a winning crew team to throw their coxswain in the water after an event. 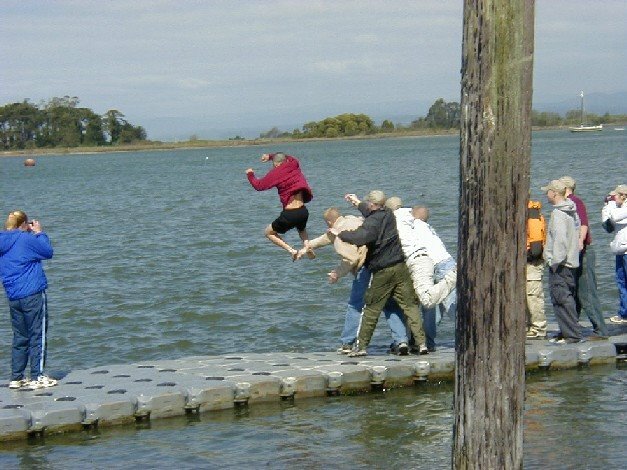 Usually, it's just a cold dunking although some coxswains have been know to go get tetnus shots after swimming in some especially nasty rivers.